Life as we once knew it drastically changed in the mid-90s. The Internet’s popularity was on the rise, and many savvy businesses and companies saw the potential of a hyper-connected, digital world. This lead to the dot-com bubble–a sharp rise, and fall, in stock prices that was fueled by investments in Internet-based companies. While we’ve moved far past the early stages of Internet start-ups and e-commerce companies, digital is continuing to change our everyday lives–from how we work, live, and play to the future of money itself. Interest in cryptocurrency, similar to the frenzy we saw in the early days of the dot-com bubble, is reaching a crescendo–yet many experts are already predicting its demise. Warren Buffet has gone on the record saying that crypto will come to a bad ending. Jamie Dimon, J.P. Morgan’s CEO, called Bitcoin a fraud before later admitting that he regretted making that statement. Meanwhile, other big-name investors and companies are going out of their way to invest in crypto–from Richard Branson to Microsoft . These e-commerce companies were born during the dot-com era, and they weathered the storm and emerged as some of the most successful and stable companies in history. The dot-com crash didn’t destroy the concept of e-commerce or the fact that consumers want to buy airline tickets, antiques, or pet food online–there was simply a gold rush in the early development stages. Once the dust settled, however, the strong survived. In the end, the dot-com bubble was a movement. Smart investors saw the future of digital-based commerce and, as they invested, the movement snowballed into madness. Many of the companies that popped up during that time were run by people who were in over their heads, or they didn’t have the technology to keep up with the demand. When the crash happened, it thinned the herd. Which leads us back to what we’re seeing with cryptocurrency today. Even if this bubble bursts, the concept of digital currency will not go away. It may wipe out 90% of today’s existing startup currencies, but the strong will survive. Companies, like Kodak, who try to create a currency without providing real customer value may see efforts go to waste. And this will pave the way for the Amazon of cryptocurrency to make its mark on the world. To further the power of this movement, it’s important to remember that cryptocurrency isn’t a company. It doesn’t have shareholders. It isn’t VC-backed. Which means this movement extends beyond any other economic bubble we’ve seen–it’s happening in an arena that’s removed from the stock markets. So, when, and if, the bubble bursts, it won’t go quietly into that good night. The parameters may change drastically from what we are seeing today, but digital currency–in one form or another–is the future. So, if cryptocurrency is the future–how do you invest? From a business standpoint, it’s important to look at crypto through a risk-management lens. Business leaders and board members should be learning everything they can about this new trend so they can determine how, where, and why it might affect or fit into the business. Is there a way to offer customers value through cryptocurrency? Is the time right to execute? Is there a long-term strategy in place that will take advantage of the crypto movement when the stormy waters calm down? These are the types of questions you need to consider. Do what’s best for your business and what’s best for your customer. As with any digital movement, you need to be aware of the trends and aware of how it could change your business. This is the only way to defend your company from possible disruption. For anyone who is considering investing in cryptocurrency, it’s important to remember that this is a long-term movement. Our world is becoming increasingly smaller and more reliant on digital means–currency transformation is inevitable. It’s the smart investors who understand that this isn’t a fragile economic trend. Digital currency will continue to adapt and change over the next few years–and the companies and entrepreneurs who pay close attention now will have the best chance at deftly navigating the troubled waters. TEL AVIV (Reuters) – Mobile games developer Playtika Ltd said on Monday it was setting up a new business, which plans to invest up to $400 million in Israeli digital entertainment and consumer internet firms as well as games companies globally. Playtika Growth Investments will target companies that are already profitable or near break-even and have proven business models and products, the company said, noting that portfolio companies will have access to Playtika’s marketing, analytics, technology and product teams. Playtika, which has spent over $300 million buying more than 10 companies since it was founded in 2010, was acquired in 2016 by a Chinese private equity consortium led by Giant Network Group (002558.SZ) for $4.4 billion. The Israel-based maker of casino-style games, such as Slotomania, for social networks has annual revenue of more than $1.1 billion and employs over 1,700 people in 10 countries. It has 20 million monthly active users. Eric Rapps, managing director of Playtika Growth, told Reuters that a “very significant majority” of the $400 million will be invested in Israel. The money will be invested from Playtika’s own funds over the next four years, with the first investment expected to be made within six to 12 months, Rapps said. “We recognized that over the past eight years we have unique insights into how to grow an online business,” he said, adding that Playtika itself grew from a very small startup. We sit here. Whether it be the early morning coffee, or the late night Grand Marnier, we all sit here and ponder the markets’ universe. Our chairs are comfortable enough, but the swirling mass of data, and projections, that surround us, is anything but that. “It’s all going to Hell in a handbasket” or “Equities are headed to the Moon” and the Sayers of Sooth seems to be staring at parallel universes. The total size of the assets of the world’s central banks are now 21.7 trillion, and they are growing by approximately $300 billion per month, according to Bloomberg data. Yardeni Research has updated its last report and now pegs the assets of the PBOC at $5.5 trillion, the assets of the ECB at $5.3 trillion, the assets of the BOJ at 4.6 trillion and, in fourth place, the assets of the Fed at $4.4 trillion. This totals $19.8 trillion for the world’s “major” central banks and, make note, this number is not decreasing or Flatlining but “Growing.” The assets of the major central banks were up 5% in December alone, according to Yardeni Research. The economists call it “Quantitative Easing” but it is actually a parallel universe where money is digitally concocted from nothing and tossed out to be spent. at will, on the markets. You see, it is money for the markets alone, because there are no goods or services or virtually any costs, in this newly created central bank economic universe. There comes a point. I’m afraid, where you begin to suspect that if there’s any real truth, it’s that the entire multidimensional infinity of the Universe is almost certainly being run by a bunch of maniacs. The significance of all of this newly created money is beyond compare when considering the debt and equity markets, in my estimation. This $21.7 trillion, in newly minted assets, is larger than any economy on Earth, according to data provided by the IMF. The central banks have created a whole new nation, if you will, out of “Pixie Dust,” without any government, without any voting and without any representation. You may say that each central bank reports to a specific government, but the money that they have created and provided to all of the world’s economies now reports to no one. It has already been tossed out of the various vaults and is useable just like the old, created by some country, money. We once thought all of this impossible. We have learned otherwise. It is Bitcoin, nationalized. The impossible often has a kind of integrity to it which the merely improbable lacks. This 21.7 trillion is actually a “free cash flow.” It is unencumbered by wages, or cost of goods sold, or any other data attributed to arriving at the “free cash flow” of a corporation or a government. It is just money, after all, and the cost to make it was almost NOTHING. There are no capital expenditures. Let us then turn to data provided by the St. Louis Fed. They stipulate that the Corporate Cash Flow of the United States was $2.231 trillion at the end of the 3rd quarter of 2017. This data may be found here. This is at a time when the GDP of the U.S. was $19.74 trillion, according to the Bureau of Economic Analysis. This means that America’s “Free Cash Flow” was 11.30% of our total GDP. Consequently, since the central banks’ creation of money is not encumbered by any capital expenditures, at all, no cost of goods or services, zero, this means that the “real value” of the $21.7 trillion is 8.87 times its stated value if compared with the United States in terms of the “actual” effect on both the debt and equity markets. In other words, the comparison of the central banks’ $21.7 trillion in assets is most accurately compared to the “free cash flows” of a government. This pegs its “actual” significance at a whopping $175.094 trillion, if considered, again, utilizing the “free cash flow” of the United States. Consider that for a moment. Where did this unnamed country come from? There is no problem so complicated that you can’t find a very simple answer to it if you look at it right. There is an art … or rather, a knack to flying. The knack lies in learning how to throw yourself at the ground and miss. As Ford executives move to execute the plan, they unveiled yesterday a reorganization of the automaker’s young mobility business, with two acquisitions to help it along. It’s all in service of a new, very 21st century goal. Ford will put less effort into convincing people to plunk down their credit cards for personal cars (though that’s still important) and more into moving them from A to B, with a little Ford badge tacked onto whatever gets them there. Still, it’s all a little woolly. The thing about being a platform that connects the world is that others have to agree to come aboard. So while Ford tries to woo partners—other carmakers, mobility companies like Uber or Lyft, carsharing companies, bikesharing providers, entire cities—the carmaking continues. Make money now, prep for tomorrow. OK, let’s look at the details of this new arrangement for tomorrow. Acquisition A is Autonomic, a Palo Alto–based company with a cloud-based platform called … wait for it … the Transportation Mobility Cloud. Autonomic seeks to build a kind of iOS for cities, managing data and transactions between city-dwellers and agencies and companies that provide payment processing, route mapping, mass transit, and city infrastructure services. That sounds vague, because it is. Acquisition B is TransLoc, a 14-year-old Durham, North Carolina–based company that makes software to help cities, corporate campuses, and universities manage their transportation systems, from traditional fixed-route service to on-demand ridehailing apps like Uber and Lyft. “Ford is interested in taking the streets back in the city, and getting more people out of single occupancy cars,” says CEO Doug Kaufman. “I think one of the reasons that we ended up with Ford and not some other suitor is because our missions are so aligned.” Ford’s execs said they would lean on TransLoc’s existing sales relationships with hundreds of cities and transit agencies to accelerate its platform plan. It’s close to a throw-it-all-see-what-sticks move, but it does show Ford is charting a different path into this new world than its great rival. General Motors, which acquired startup Cruise Automation in 2016, is all about the autonomous and electric vehicle, with self-driving Chevy Bolts testing on roads in Phoenix and San Francisco. It’s even starting to think about making actual, honest-to-goodness driverless vehicles, this month showing off a design for a steering wheel– and pedal-free EV, and touting plans to get the thing on the road by 2019. The company’s Maven service, which provides car rental and sharing in 11 American cities, could be a great, data-hoovering starting point for a delivery and ridesharing service. And GM employees in San Francisco are using Cruise Anywhere, an Uber-like platform, to catch rides in self-driving testing vehicles. But GM hasn’t as overtly attempted to partner with cities yet, and its broader mobility strategy is hazy. Will GM provide transportation services and not just an excellent autonomous, electric car? Can any American automaker do that? 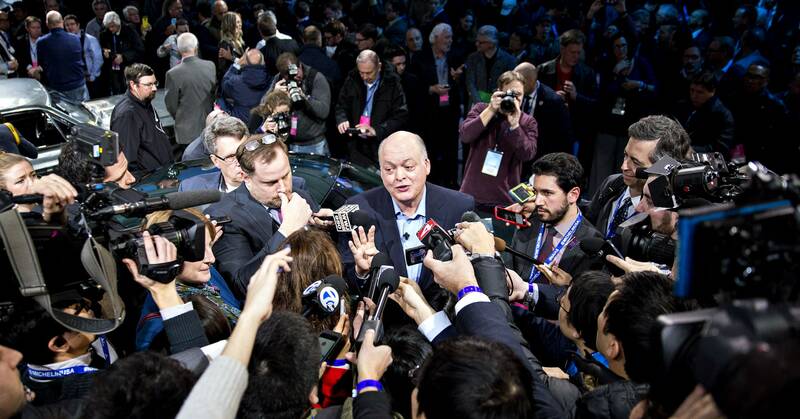 Ford has been pretty consistent about its admittedly hazy vision for the future of mobility. (At least, consistent with its messaging.) “The bigger risk is doing nothing,” executive chairman Bill Ford told WIRED back in 2015, as he outlined a future where a single, digital ticket could buy you a ride on a car, taxi, subway, bus, or bicycle. “I am very confident that we can compete and morph into something quite different.” Now it’s time to deliver. Want to change the world? Begin by envisioning it as it could be. The world of literature–science fiction and otherwise–is a much sadder place this week after the loss of the iconic novelist and writer Ursula K. Le Guin, who died at home, after months of ill health. Her list of accomplishments is impressive–she authored more than 20 novels, a dozen books for children, books of essays, novellas, short story collections, and poetry collections. Later writers, from Salman Rushdie to Neil Gaiman, were influenced by her work. She won the National Book Award and was one of only four authors to have her work collected and published by the Library of America during her lifetime. She not only won both the Hugo and the Nebula prizes–Science Fiction’s highest honors–she was the first person to win both prizes twice for the same two books, her novels The Left Hand of Darkness and The Dispossessed. She authored the Earthsea series, inspired in some ways by J.R.R. Tolkien’s Lord of the Rings, but with a very different point of view. Robert Kennedy famously said, “There are those that look at things the way they are, and ask why? I dream of things that never were, and ask why not?” That quote perfectly describes what was so powerful about Le Guin’s work. In her best books (or at least the ones I love best) she would create an imaginary world that was more just and more enlightened than the real one, although often the environment was harsh and the people who lived there faced terrible challenges. She was an ardent feminist, and in The Left Hand of Darkness, she created a world in which gender is not a permanent condition, but changes over the course of an individual’s life, as it can for certain fish species in real life. Although she wasn’t an anarchist, she was fascinated with anarchy (in which there are no government or laws as such, but people are self-governing) and Taoism, which emphasizes, balance, compassion, and frugality. So in The Dispossessed she imagined a moon colonized by anarchists who had rejected the hedonistic, capitalist ways of the planet it orbited and had abolished all forms of ownership. Except for trading resources from the moon for needed supplies from the planet, the two populations have no contact, until the book’s protagonist, who grew up on the moon, decides to visit the planet and see it for himself. Those are the books that stick best in my memory, but there are others: The Lathe of Heaven, imagines a world in which people’s dreams can change actual reality. Le Guin studied anthropology and sociology on the way to creating her alternate worlds and it shows. You wind up asking yourself if a society like this really could exist, or maybe hoping that it could. At least, I did. She never stopped imagining a world in which things could be made better. Those are big words for the rest of us to live up to. But inspiring ones as well. SAN FRANCISCO (Reuters) – Chinese e-commerce and technology company Alibaba Group Holding Ltd and U.S. grocer Kroger Co have had early discussions on working together, including a meeting in which U.S. executives traveled to China, a source familiar with the matter said. The business development talks are at an initial stage, and it is not clear if they will lead to any cooperation, the person said, declining to be named. The discussions come as U.S. e-commerce company Amazon.com Inc has expanded aggressively into groceries with its acquisition of Whole Foods Market. The talks between the two firms were reported earlier by the New York Post. Spokespeople for Kroger in the United States and Alibaba in China did not immediately respond to requests for comment. This week Amazon opened to the public its Amazon Go checkout-free grocery store, which relies on cameras and sensors to track what shoppers remove from the shelves. Amazon’s renewed push into groceries with last year’s Whole Foods acquisition put pressure on leading U.S. supermarket Kroger to improve technology including mobile ordering and delivery. Kroger is rolling out curbside pickup as one way to fend off Amazon. Alibaba has been making an aggressive push into working with U.S. and Canadian companies that could be interested in selling in China as well as rolling out its cloud services and payment products. The talks with Kroger were not CEO-level, said the person, describing Kroger as one of many U.S. companies holding initial discussions with the Chinese company. In China, Alibaba’s Hema supermarket chain has become a test bed for the e-commerce firm’s move into traditional retail, where mobile phones are used to order, pay and get information about items. Kroger, which wants to sell more general merchandise like Amazon and Walmart, could direct customers to the Alibaba site, where they could buy general merchandise, the New York Post reported, citing a source. 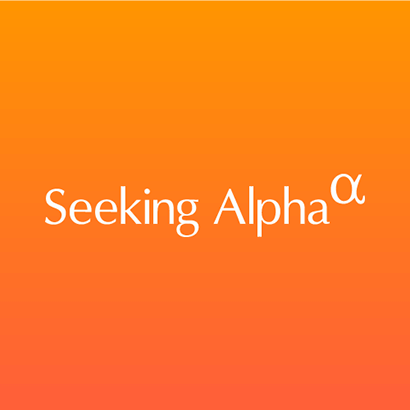 FRANKFURT (Reuters) – Software AG reported record margins in the fourth quarter on Thursday and forecast that its new business line serving the industrial internet could as much as double in size in 2018. Germany’s No.2 business software maker after SAP said its adjusted earnings before interest, tax and amortization (EBITA) rose by 9 percent to 98.4 million euros ($122.4 million), in line with a Reuters poll of analysts. (Reuters) – EU antitrust regulators are expected to impose a multi-million euro fine on Qualcomm Inc on Wednesday for paying Apple Inc to use only its chips, according to a person familiar with the matter. The European Commission in 2015 accused the company of the anti-competitive behavior. The fine could in theory go as high as 10 percent of Qualcomm’s annual revenue, which was $22.2 billion for its most recent fiscal year. Apple and Qualcomm are engaged in a wide-ranging legal battle over Qualcomm’s business practices, which started a year ago with Apple suing Qualcomm for nearly $1 billion in patent royalty rebates that the chipmaker allegedly withheld from the phone maker. Other regulators including the U.S. Federal Trade Commission are investigating Qualcomm’s dealings with Apple, and the decision may make Qualcomm more vulnerable to chip maker Broadcom Ltd’s $103 billion hostile bid for it. Broadcom argues it will smooth rocky relations with customers such as Apple. Europe’s antitrust regulators are pursuing two proceedings against Qualcomm, with the second expected in coming months, the person familiar with the matter said. In 2015, European regulators lodged a statement of objections against Qualcomm that it had made payments to “a major smartphone and tablet manufacturer” in exchange for the smartphone maker exclusively using its baseband chipsets, which connect mobile devices to wireless data networks. Apple is the customer, this person said. In filings in a U.S. federal court case against one another, Apple and Qualcomm gave dueling descriptions of a so-called “transition agreement” signed by the two companies in 2011. Apple alleged Qualcomm gave it a discount on royalty payments in exchange for exclusively using Qualcomm’s so-called modem chips. Qualcomm alleged that Apple demanded the discount as an “incentive” to do business with Qualcomm. In a separate lawsuit filed in January 2017 by the U.S. Federal Trade Commission against Qualcomm, regulators alleged that Qualcomm’s agreement was a “de facto” exclusivity arrangement that violated antitrust rules. The FTC said the chipmaker could cut off Apple’s incentive payments and even require a refund of past payments if Apple tapped a different supplier. Qualcomm has denied the FTC’s allegations. The European Commission declined to comment. Apple declined to comment beyond its previous position on Qualcomm’s practices. BEIJING (Reuters) – Alphabet Inc’s Google, Tencent Holdings Ltd and Sequoia Capital China have joined a $15 million B series funding round for Boston- and Shenzhen-based artificial intelligence (AI) pharmaceutical firm XtalPi Inc.
Sequoia led the round, which brings the startup’s total funding amount to $20 million, XtalPi and Google said in statements on Wednesday. XtalPi uses AI, cloud computing and quantum physics to improve drug design processes. The deal is the first co-investment by Google and Tencent since the two companies revealed this month that they have signed a patent sharing agreement, paving the way for cooperation between the two firms. Google has recently ramped up investment in the Chinese market where its search engine remains blocked. Last month it announced it had launched a dedicated AI lab in the country.